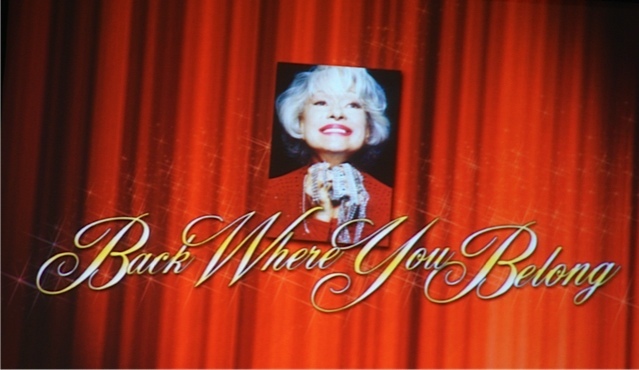 Show-stopper: Carol Channing Comes “Back Where She Belongs” On Stage–In Anaheim! Every story-teller knows the importance of finding the core–or ‘spine’ of the tale they’re attempting to relate. This is the same whether they be writers, actors, singers, comedians or any other kind of artist. To clarify, the “Spine” being referred to is the purpose or motivating force to a story, character, or work that defines it, gives it depth, and drives it forward. On Saturday evening, April 16, the town of Anaheim CA, got a lesson in how a true Icon of the stage finds that ‘spine“ or determination for the latter half of their life, and makes it work for the good of everyone. 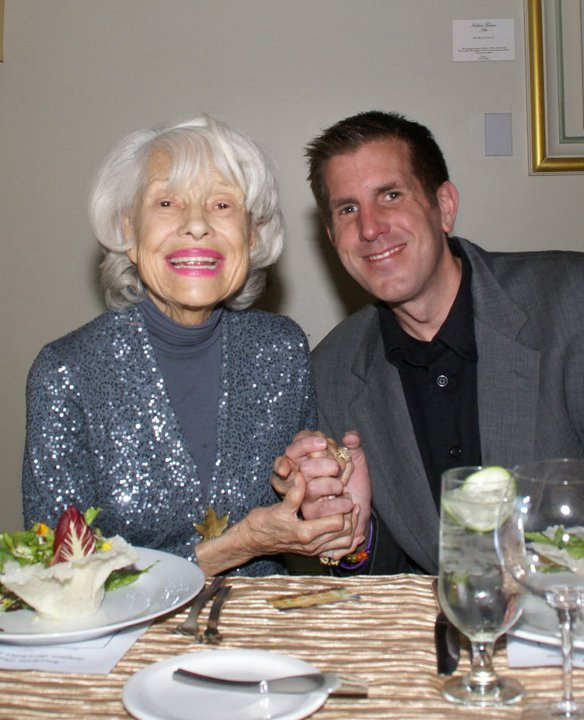 That night, “Theater Hall Of Fame” Inductee Carol Channing paid a special visit to the city’s Heritage Forum for “Back Where You Belong” a one night only benefit concert in celebration of this awesome lady’s 90th Birthday. 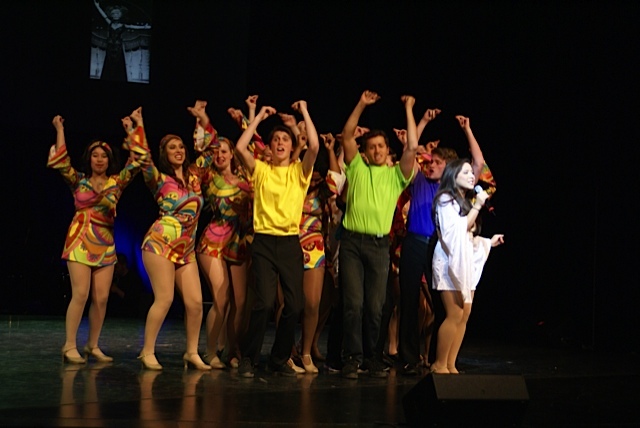 The theme of the concert paid homage to “Matinee Idols” of stage and screen. 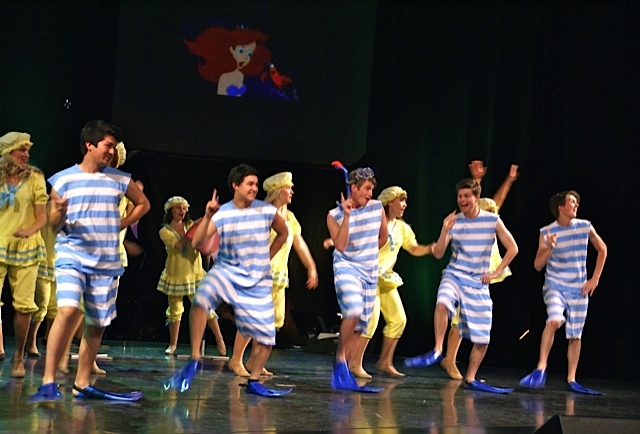 Just a few of the numbers presented were “Movies Were Movies“ from Jerry Herman‘s “Mack And Mable“, which saw the cast acting out a Charlie Chaplin-esque silent film; “The Little Mermaid‘s “ Academy Award winning “Under The Sea“, and “You Can‘t Stop The Beat“ from “Hairspray“. “Star-To Be” Soloists, Jim Mulligan belted out a vibrant version of “Out There”, from Disney’s animated “Hunchback Of Notre Dame” while Kendall Mauvezin similarly electrified the crowd with a sultry rendition of Kander and Ebb’s “Maybe This Time”. You Cant Stop" Those Dynamic "Kids Next Door From "Musical Theatre University"
Linda & Howard Knohl Of The APAC Foundation Say "Hello, Carol"! Ironically reported to be the very last addition to this now-historic musical before the script was completed, the actress further explained how it was only after she understood and addressed this particular aspect–or ’spine’– of her character that she was at last able to fully realize who the woman, Dolly, would be. This was directly followed (as “Dolly” does in the show,) by the classic “Before The Parade Passes By”. There are few genuine “some day we’ll get to tell our grandchildren about this’ moments in life, but this was certainly one of them! The legend, in person, reciting the most legendary moment of her most legendary role…the impact was spectacular. 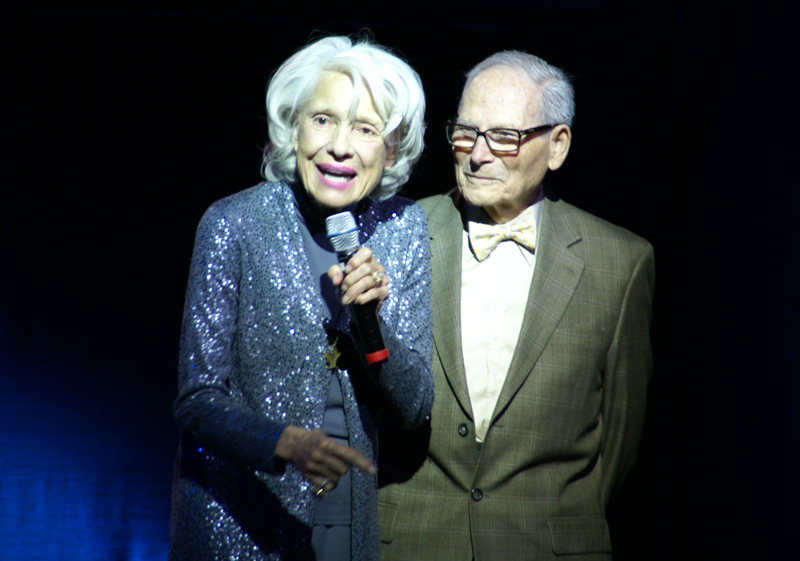 How wonderfully fitting too that, given the message she and Mr. Kullijian are trying to convey was put directly into action by providing both a reason and support for the enthusiastic and dazzlingly talented young people who entertained in such a blue-ribbon showcase. What better way to drive the point home that education in the arts really does give every student that ’spine‘ they need to be informed and insightful individuals! "Under The Sea"?! ON STAGE Is Where This talented Crew Belong! Special Thanks to Lance Perkins, Publisher of “Lance Magazine” (www.lancemag.com) For his gracious assistance with photos and Linda Knohl of The Anaheim Performing Arts Center foundation, Joel Aragon, General Manager of The Heritage Forum Theatre, and to Mr. Harry Kullijian and Miss Carol Channing For making this story possible. 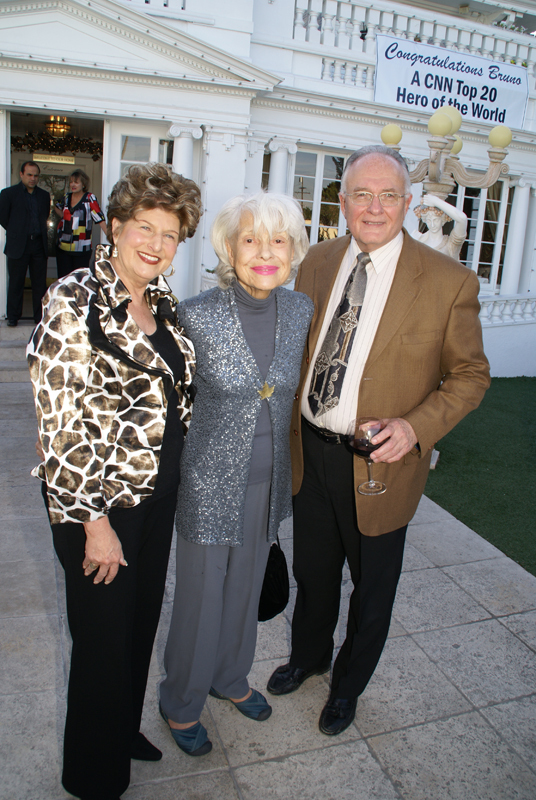 This entry was posted in Events and tagged Anaheim CA, Anaheim Performing Arts Foundation, Benefit Performances, Carol Channing, Channingarts.com, Heritage Forum, Jonelle Allen, Kamilah Marshall, Krysta Rodriguez, Musical Theatre University, Rex Smith. Bookmark the permalink.